Being a Payment Facilitator (PF) can be challenging. From developing your platform and maintaining compliance, to funding investments and mitigating risk. As the pioneer of merchant monitoring, boarding and transaction laundering detection services for acquirers worldwide, G2 protects payment facilitators from surprises that could upend your business. With information technology and trained analysts, G2 can clear the most vexing compliance and monitoring tasks off your desk. G2 solutions allow you to conduct thorough due diligence on prospective merchants at boarding, uncover past violations of card network compliance programs, and utilize ongoing monitoring to detect changes in your portfolio over time. Liability comes in many forms for Payment Facilitators, and it’s imperative to have the right solutions in place to protect your company. Any potential fraud or assessment can have drastic impact on business operations. Since 2004, G2 has been monitoring merchants for hundreds of financial institutions around the world. G2 serves more Payment Facilitators and acquiring banks globally than all other providers. Through this work, we have amassed the most extensive fraud and compliance database in the industry, known as the G2 Merchant Map®. This database consists of over a decade of data, including tens of millions of merchants, hundreds of millions of webpages and billions of merchant data points. G2 Boarding Solutions allow you to quickly identify the best merchants that fit your risk tolerance, enhance your current due diligence process with proprietary compliance data and gain valuable insight into even the vaguest merchant websites. G2 Portfolio Protection is the industry’s most comprehensive merchant monitoring solution. 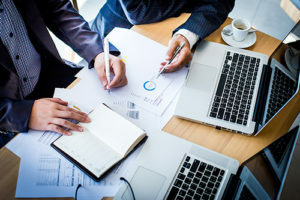 Whether it is locating merchant compliance violations, mapping a merchant’s service providers, or identifying transaction laundering syndicates, you have access to the most experienced team of analysts in the industry. To learn more, download any of our following resources to see how you can mitigate risk and position your company for safe, profitable commerce. If you have any questions in the meantime, email info@g2llc.com.